A traditional medieval style set of wooden stocks which are ideal for Corporate Events, Fun Days and Promotions. 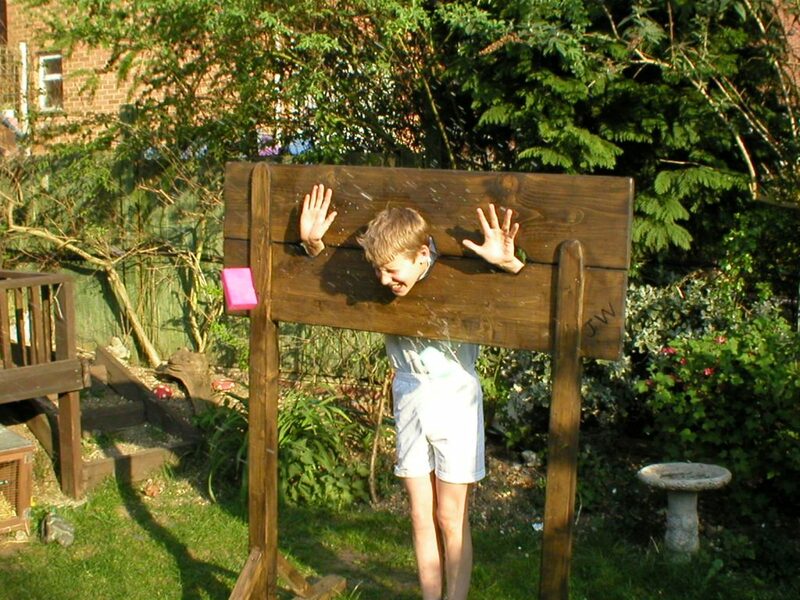 Place your boss, friends or colleagues in the stocks and throw dripping wet sponges at them. Supplied with bucket and sponges. Free delivery with bouncy castle. If collecting, you will need a large van.